From Armenia, this heirloom seed is a member of the cucumis melo var. inodorus like the honeydew. Very fragrant with a firm texture, these one pound melons are often confused because of their colors with the Rich Sweetness 123 – which weighs only ¼ of pound- and the Plum Granny (Queen Ann) melon – very small oval shape. Tigger melons take a while to get to maturity (+80 days), but once the melons started coming, the plant really produced (and is still producing today). It’s easy to know when the melons were ready to pick because they turn red/yellow (from green) and fall off the vine. They will continue to ripen once picked, as opposed to muskmelon –aka cantaloupe in the USA. We found the Tigger melon to have a sweeter taste when we allowed them to ripen a few more days before using them. They can be stored in the fridge up to 2 weeks. Beautiful. I can almost smell it. It's similar in size to something I bought years ago called a 'pocket melon' which purported to be a fragrant little fruit that people from the far-gone days of no baths and showers stuck in their pockets to mask body odor. It makes far more sense to me, however, that they would be called pocket melons because it would be easy to stick them in your pocket ( like pocket pooches, only less squirmy and furry) to snitch them from a neighbor's garden, or to bring them inside from your own. 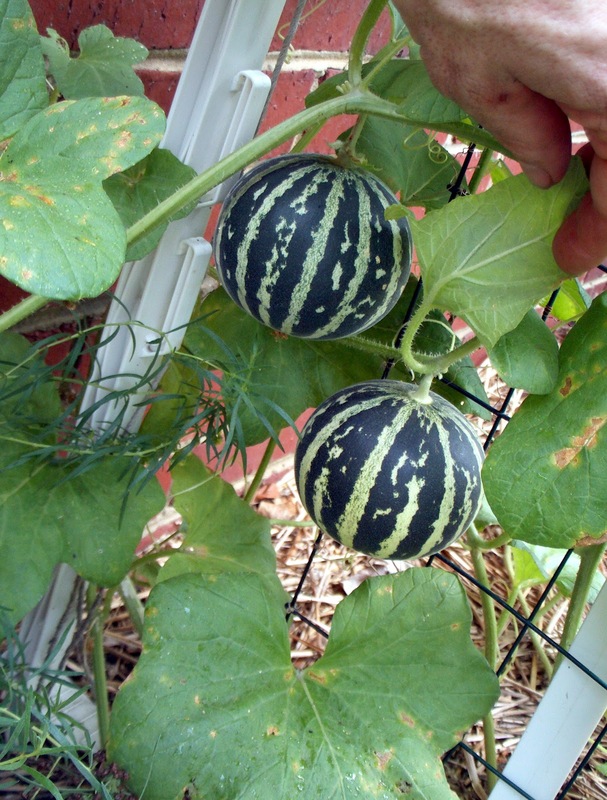 Tigger melon is a fragrant ''pocket melon'' just bigger than the Queen-Ann melon ( only 2-3 inches long ) you described. We can say too than a Tigger melon is a 2 portion/service melon and give to your fridge a nice smell. 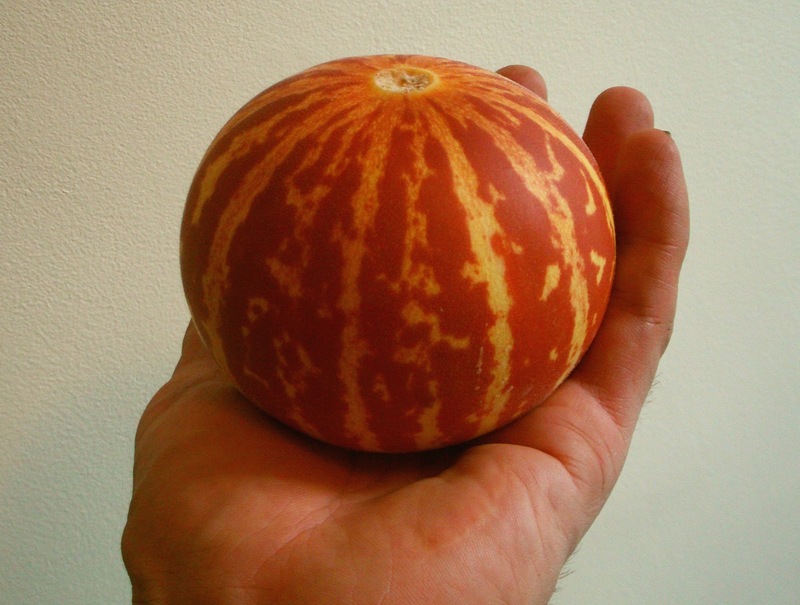 Very beautiful melon.how can i have this kind tigger melon seeds? We got them from Baker Creek Heirloom Seeds (check out rareseeds.com), and search on 'tigger melon'. Stick around to see what else they have to offer. oh, I think this was the melon I was trying to order for my parents. They were out of stock! When is the best time and what are the best conditions (full sun, partial sun) is recommended?